After a July that was absolutely insane on SO many levels, the blog is back and kicking. The first series of posts that are making their way back from the archives will be our “The Numbers” posts, that highlight my Sunday Funday class at CrossFit Lakewood. I try to make these classes (which are available to all CF Lakewood and CF Golden members) as fun as possible, many weeks putting athletes together in team format. Every few weeks, we’ll also tend to do some sort of a benchmark set, whether that’s a 400m run, 500m row, max dead-hang from a pull-up bar, etc… On these posts, I’ll try to share picture of the workouts, results, and any benchmarks we do, as well as an action shot/video or two if I get some good ones. All-in-all, I hope these posts serve as fun little memories into our time together on Sunday afternoons… the best way to start the week! 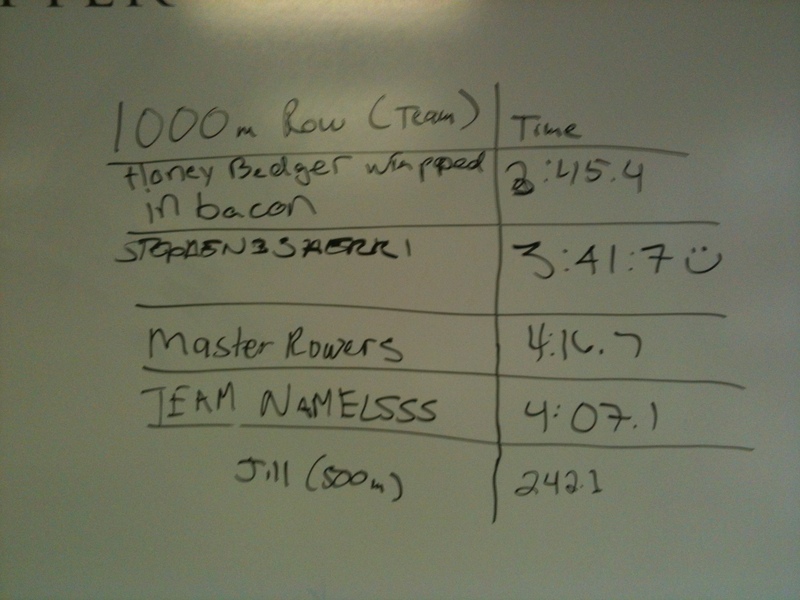 After that, we ended class with a nice little 1,000m row (as a pair). The goal here was to not only have each person complete a max-effort 500m row, but also see how fast a team could complete a full 1,000m. 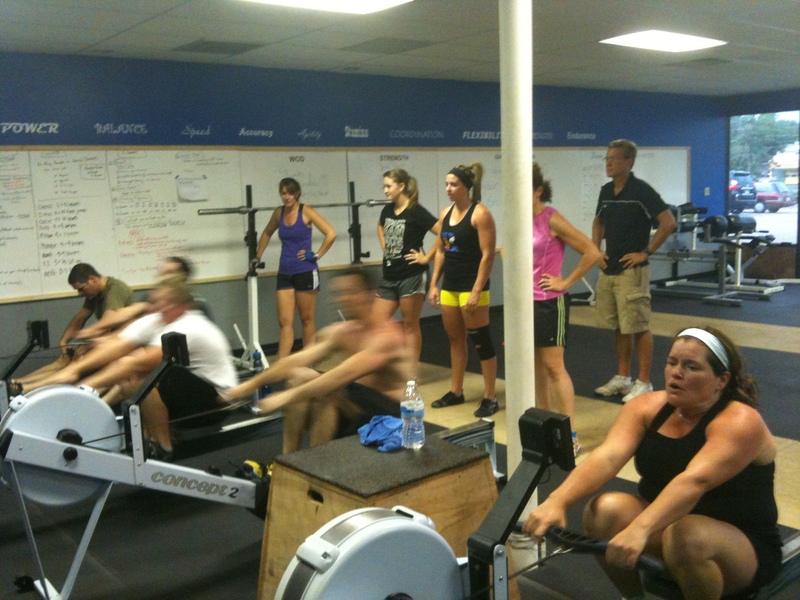 Team Row Results – Do you see your team name? You all did a GREAT job! Happy Sunday Funday, everyone! Jilly-Bean and crew getting AFTER it! Happy Sunday, friends! 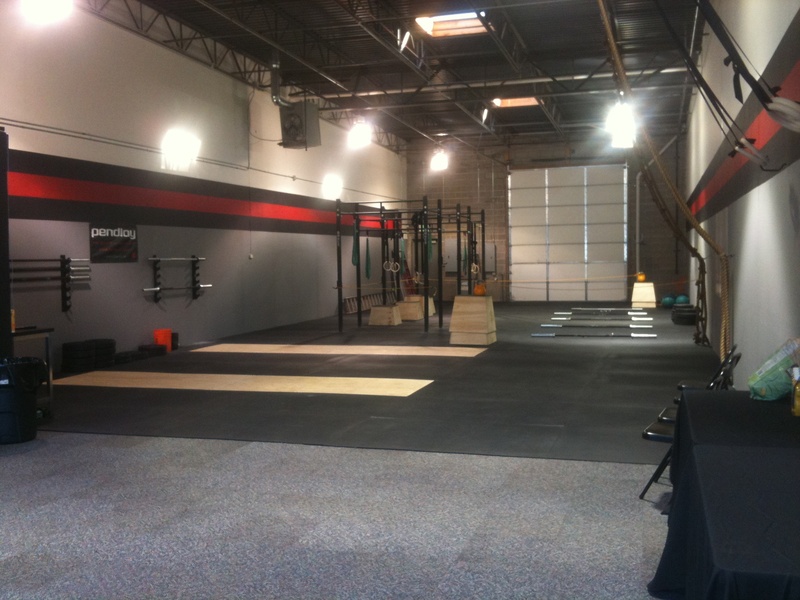 The purpose of this post is to let all of you know that CrossFit Golden has finally opened! 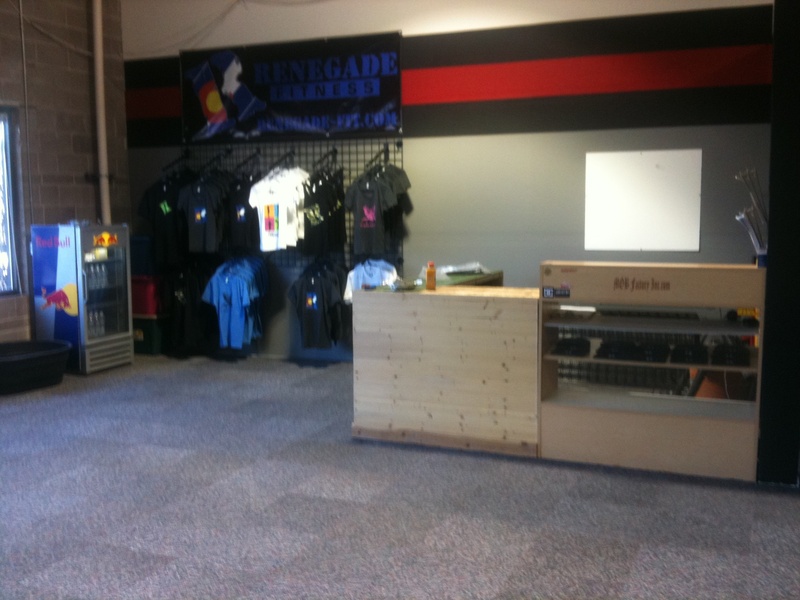 Orion Tulchin (owner of CrossFit Lakewood) and Greg Walker (yep, they own Renegade Fitness with me!) opened the gym together, and it is a beautiful space! The Grand Opening celebration was yesterday, and it was an absolute blast! The turn-out from friends and family was awesome, the workout was fun, and the socializing after couldn’t have been beat (as usual with this crew of people)!! Not only did my friend John set up supplements from his company Simply Pure Nutrients (I’ve actually been taking his products for a while and really like them), but Dr. Dorian Haywood from Chiromega Chiropractic came by to work on the athletes, too. I know I speak for Orion and Greg when I say that this gym COULD NOT have turned out so amazing without the tireless and selfless work of so many of our members. 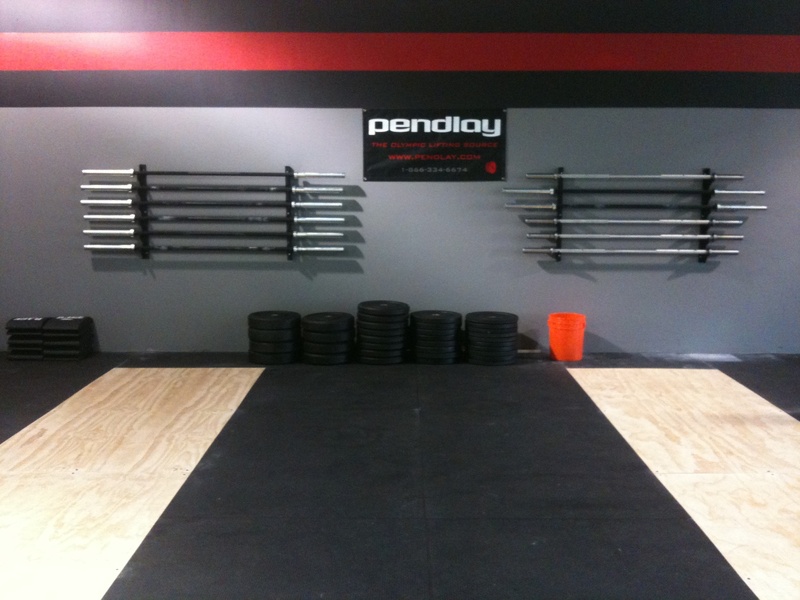 All-day paint sessions, mat installing, moving… and then removing the pull-up rig, I mean it was not easy. The best part of all was that people were all smiles the entire time! You all did an INCREDIBLE job of making CrossFit Golden look as beautiful as it does. THANK YOU!! 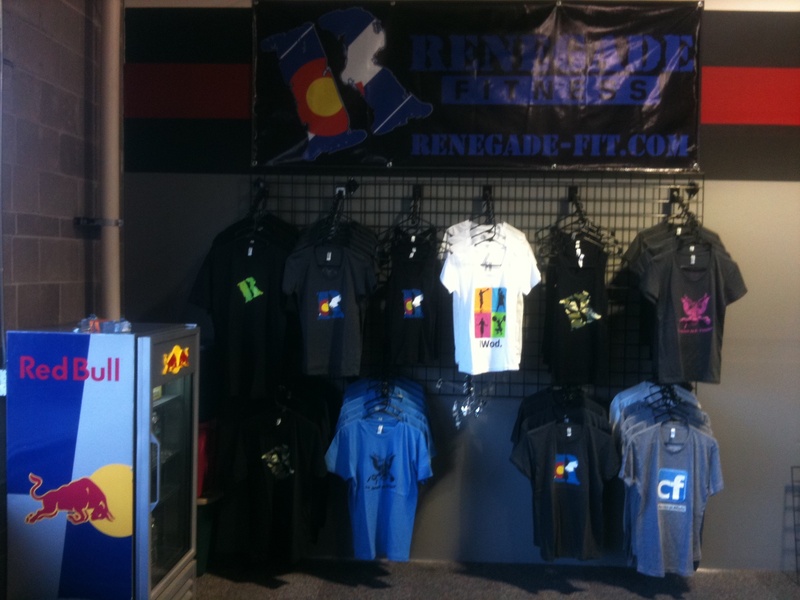 A closer look at the "Renegade FItnesss Store" at CF Golden! Weights stacked neatly AFTER the party! CrossFit Benchmark workouts are awesome! Tonight’s workout was one entitled Helen. It’s a classic WOD for all CrossFitters, and today was the first time that many in our CrossFit Lakewood family where able to give her a whirl. Not only that, TONS of people did it with prescribed weight. THAT is awesome! Front Squat 3×3 warm-up, 10×1 @ 85% or add 5-10# from last effort. Sunday Funday post is jussssst a few days behind. I guess launching a company with two friends will do that to you! Either way… it was an epic day with new faces, rowing outside and full families in the house. BOOM!! Let’s start backwards and work our way back up to the start. The Sappey men (Ben and Andy) have been training with us for a while now, and just recently, the matriarch of the family (the wonderful Collette) has started joining us on some Sundays! Little sis Emma still hasn’t started training with us, but she is an awesome cheerleader. Check ’em out! You know what they say, right? 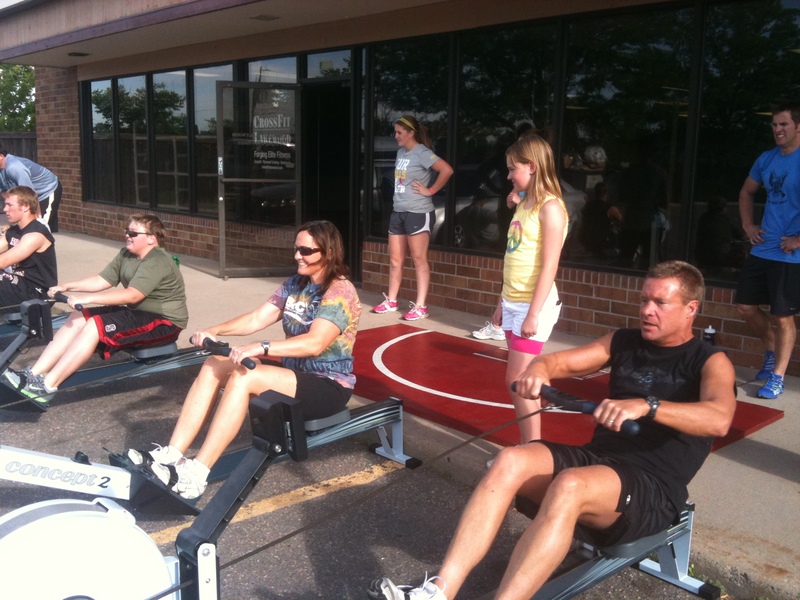 A family that rows together, stays together! Right? They do say that, don’t they? Ben, Collette and Andy crush it! Emma cheers! The workout brought back a movement we haven’t done in a while (Sotts Press) and put a slight variation on a movement we use quite often (Max Height jump burpees). It was also the first TEAM workout we’ve done in a long time! After the workout was done, of course we had dessert! As a team, try and take as FEW Broad Jumps down and back through the entire gym. Here’s the catch on this one, though… if you lost your footing on the landing, you had to start over! Check out Greg and Wes going head-to-head. And then……. It was another super fun day, and I had a great time! THANK YOU all for coming to train on Sunday Funday! Tonight was night 3 of 4 for the Free Week we had for non-members to come in and check out the gym! As expected, after two pretty intense days of training, our number of “newbies” went from 20 down to 10, but given the workout we had tonight, it was the PERFECT number. Oh, and that’s still TEN new bodies through the door, which was awesome! This was the first night of the week where we had current members and non-members do separate workouts. 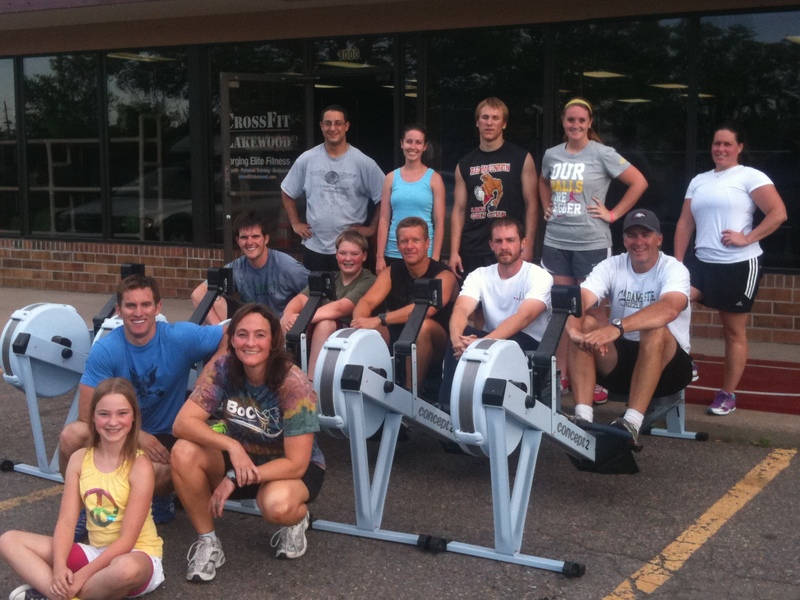 The “newbies” did a Fight Gone Bad-style workout with rowing, push-ups, sit-ups, stick jumps and weighted air squats. Sounds pretty brutal! 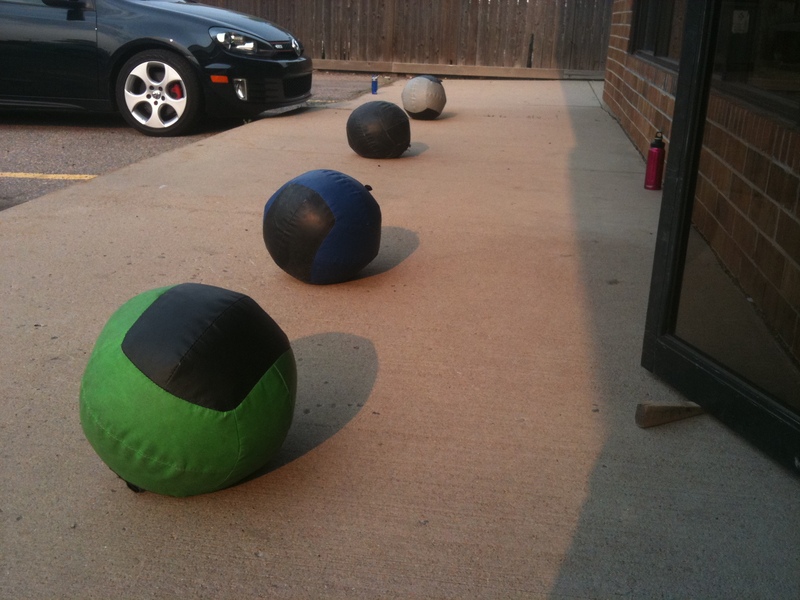 While they did that, the current members did a ten-rounder with Power Cleans, Wall Balls and a run. I’ll tell you what, this guy was a crusher. Orion decided to make this one a bit heavier, so the cleans were done at a prescribed weight of 165 for men. BIG numbers, there! Night #2 of FREE CROSSFIT Week was…. ANOTHER HUGE SUCCESS! Check it. Yeah, 37 folks worked out with us tonight, and we still have two more nights to go of our Free week!! For all current members, the day started off with some Push Presses, working up to a 1-Rep Max. Feel free to post your weights in the comments section if you’d like. While they did that, I was taking the newbies through some warm-ups and introductions of movements with the other coaches to prep for the workout of the day. One thing we love doing is getting to know our new athletes a bit before we start working out, so here we are during the beginning of warming up and doing jumping jacks, going around the circle, introducing ourselves and saying something interesting about us! Since there were so many athletes in the house, we started the New athletes first. Off they went! Then a few minutes in, the current members started with Heat 1. How legit are these guys and gals?! These next two videos are just to show you how it looks when thirty-seven people come out to train at the best gym in the world 🙂 SUCH a full house!! Thank you to everyone who has been spreading the word and coming to check us out! Two more days this week for FREE CROSSFIT at 6pm (today and tomorrow), so come on down and bring your friends! 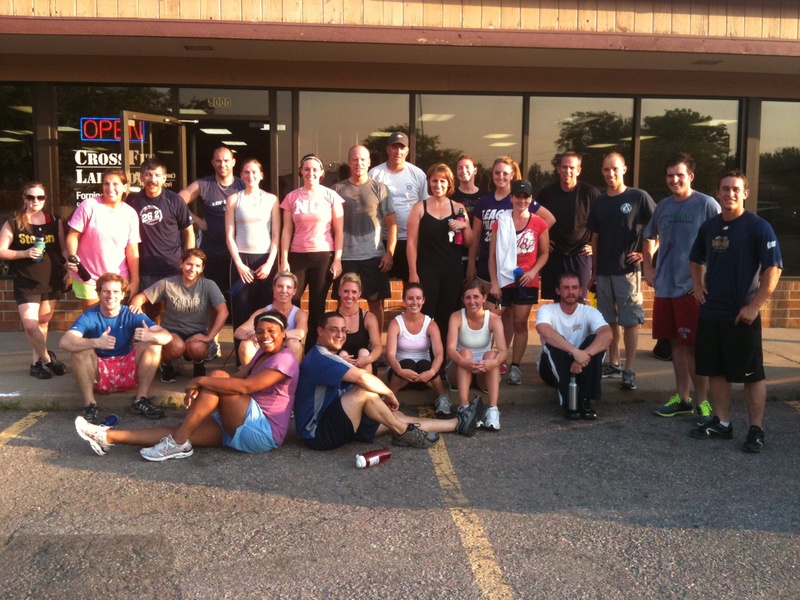 The first night of our 2nd “Free CrossFit Week” is in the books, and it was a HUGE success! 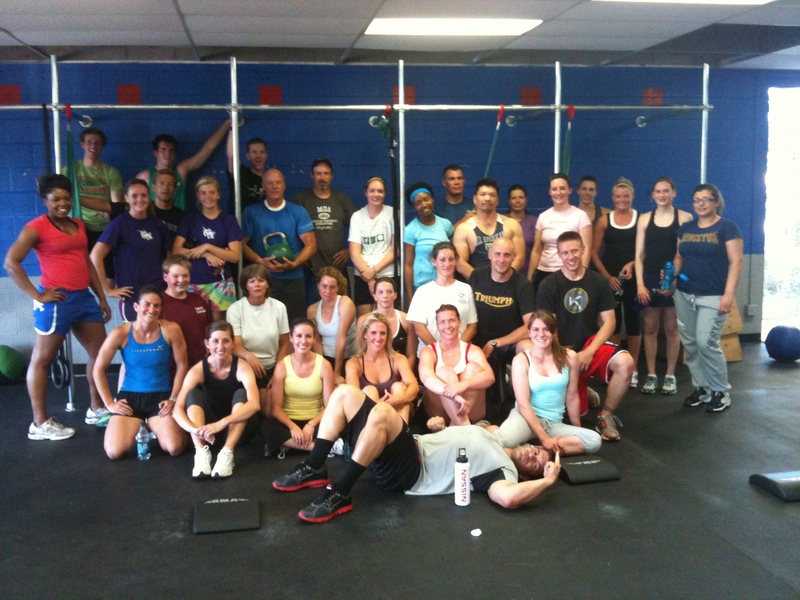 We had 19 new athletes show up to check out CrossFit Lakewood. NINETEEN! It was awesome! 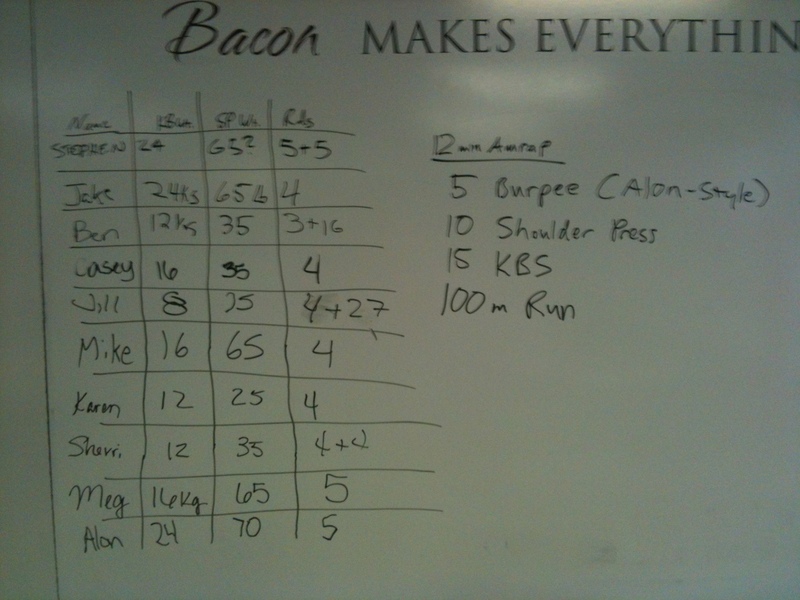 While the current members went through a Front Squat progression (where I heard several people PR’d! ), we took our guests through a thorough warm-up, and explained what the workout of the day would be for everyone! There were 30 athletes in class tonight!! so we needed to run two heats. Here’s Group 1 running while Group 2 prepares! Then it was time for Group 2 to go! These guys and gals really got after it tonight! Look at these box-jumping machines!! Then, check out Kip and Alon just destroying the Handstand Push-Ups!! Kip with only ONE Ab-Mat, and Alon…. with ZERO!?! Where did this come from?! SO awesome. Jamie was doing Handstand Push-Ups, and this looked too cool for me to not snap a picture. Well done, Jamie! 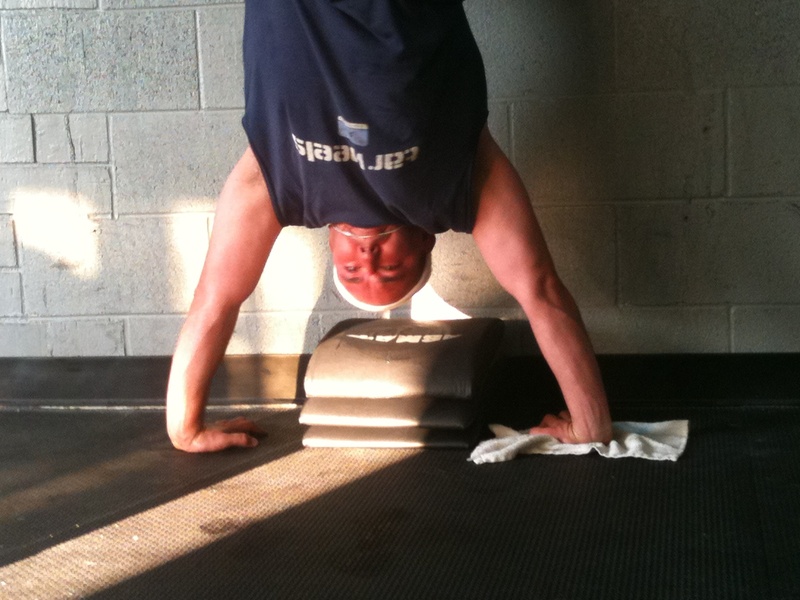 Jamie rocking his Handstand Push-Ups! Last but not least, I had to ask for the group shot. You know I did! More than 5 people had already left when we took this, too. I can’t wait for the rest of this week! 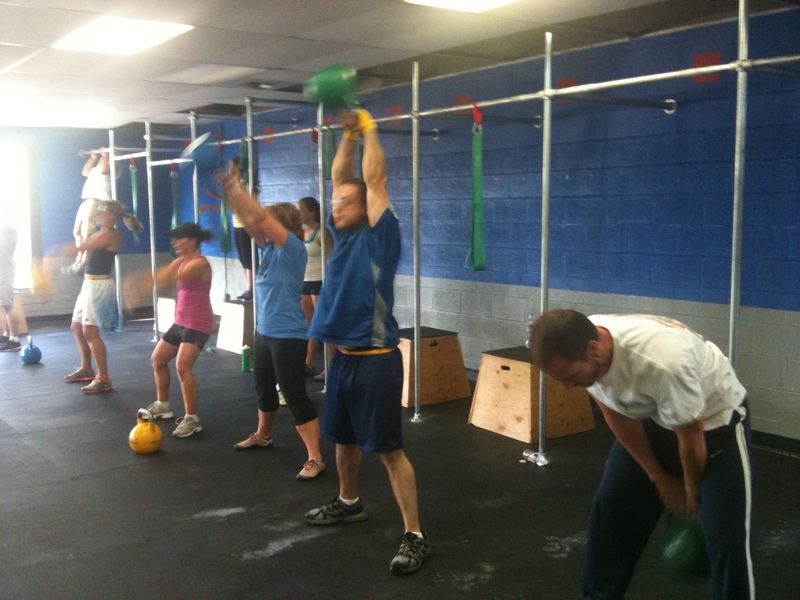 Thirty-seven total athletes in the 6pm class. Epic! 19 new athletes came by for the first day! !